Our Level V Trauma Center team includes physicians, mid-level practitioners, nurses, lab, x-ray and respiratory therapists that are highly trained to care for time-sensitive conditions. Our medical team-of-professionals cares for approximately 3500 patients each year. Patient care is provided for orthopedic emergencies, trauma, heart attack (Acute MI), chronic obstructive pulmonary disease (COPD), stroke (cerebrovascular accident/CVA) and other medical emergencies. Remember, for any emergency dial 911. Triage is the process of determining the priority of patients treatments based on the severity of their conditions. Patients are quickly moved into a triage room for immediate assessment. Based on the nursing assessment and acuity of current patients, some patients may be placed back in the waiting room. This is done to ensure that all patients receive triage in a timely manner to treat any emergency conditions. Sakakawea Medical Center has the capabilities to consult with certified emergency staff and specialists through E-medicine; we work with Avera eEmergency located in Sioux Falls, South Dakota. eEmergency gives our rural hospital providers better access to professional colleagues – a second set of eyes and ears to assist us with the wide variety of emergency room situations that we encounter. 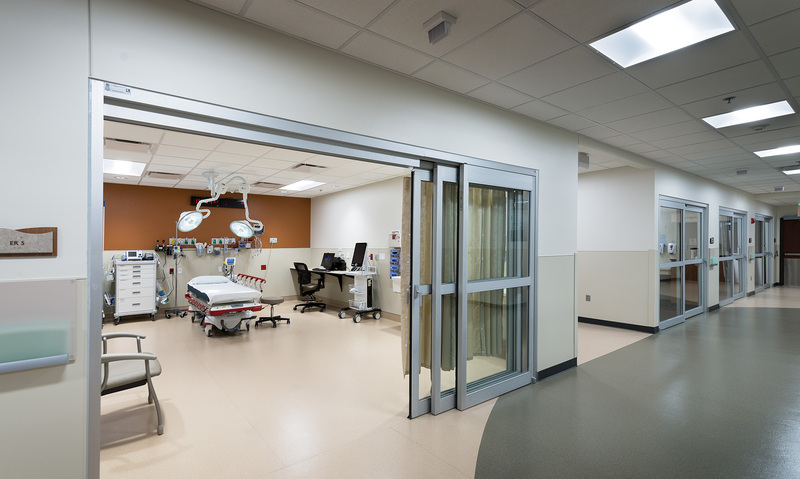 Our eEmergency team has implemented secure, interactive, high-definition video and audio equipment and software within our emergency department that directly connects Sakakawea Medical Center ER to the emergency specialty center at Avera. For more information on Avera eEmergency, please visit Avera's eEmergency Website. Patients of Sakakawea Medical Center benefit from on-site option for transport to larger medical facilities. Air ambulance service can provide around-the-clock transport to Bismarck. SMC’s Emergency Department staff is prepared to see a variety of cases that come into the emergency room.